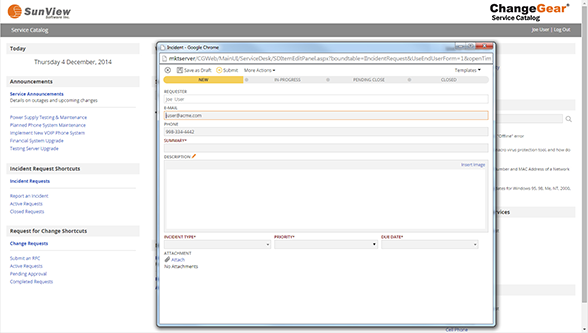 Product is a web-based change management solution that utilizes Microsoft .NET platform. Cloud or On-Premises – flexible delivery options to meet user needs. Built on a foundation of ITIL best practices, ChangeGear provides a modern, powerful, and flexible IT Service Management solution for corporations from industries including Legal, Healthcare, Utilities, and Media, as well as, Federal, State and Local Government Agencies. SunView Software, founded in 2003, is revolutionizing the way IT organizations manage IT services across the enterprise. At the core of all this change is a holistic approach to developing solutions that enable the automation of critical IT processes based on the ITIL best practices framework. SunView’s flagship product, ChangeGear, is an integrated IT service management platform for automating your organization’s IT best practices. This includes solutions for service management, change management, configuration management, self-service management and more. Based on the ITIL best practices framework, SunView’s ChangeGear products automate and streamline IT processes. Sunview customers see the results of having a great solution for automating ITSM processes – greater visibility into their IT infrastructure, improved system uptime, reduced operational costs, improved security and enhanced customer service. Of course, this is all done with the added benefit of an intuitive and easy-to-use interface. 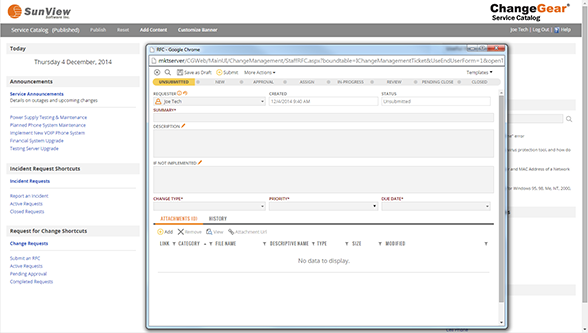 ChangeGear® was designed to be easy to implement, use and customize. Sunview’s proven solution is already helping hundreds of IT organizations deliver real business value across the enterprise. Sunview launched ChangeGear Service Catalog in May of 2011 to allow companies to publish their IT services in an easy to understand manner for their end users. Service Catalog is fully customizable through HTML so companies can create their service portal to make it easy for their end users to find the information they are looking for. 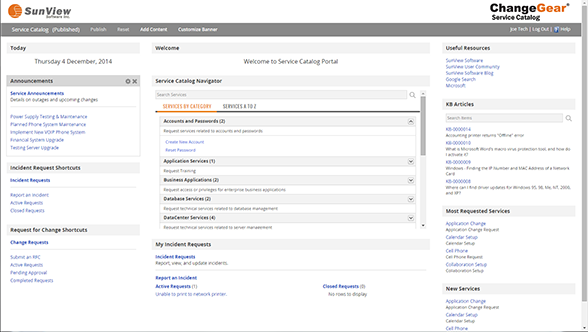 Service Catalog is also built using ITIL V3 standards.